I think the biggest thing marketers (and sales people) need to understand is that everything is about the buyer. It is no longer what we as marketers think our value proposition is, how we want to sell or what channels we want to use. It is about the content the buyer wants to consume, how they want to buy and how they want to engage. With this in mind, B2B marketing and sales professionals need to change their mindset and cannot do it soon enough. The inspiration came from many areas. First and foremost though was the B2B marketers and clients I get to work with on a daily basis. 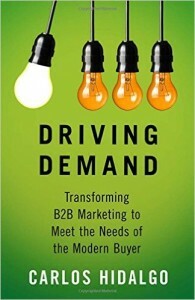 I speak to B2B marketing and demand generation professionals who feel so unappreciated, so defeated in their roles and I wanted to write a book that gave them a guide on how to drive effectual change in their organizations and build out additional skills that are needed in modern marketing organizations. The key concept in the book is the need for organizations to change their approach to Demand Generation and adopt a Demand Process approach. 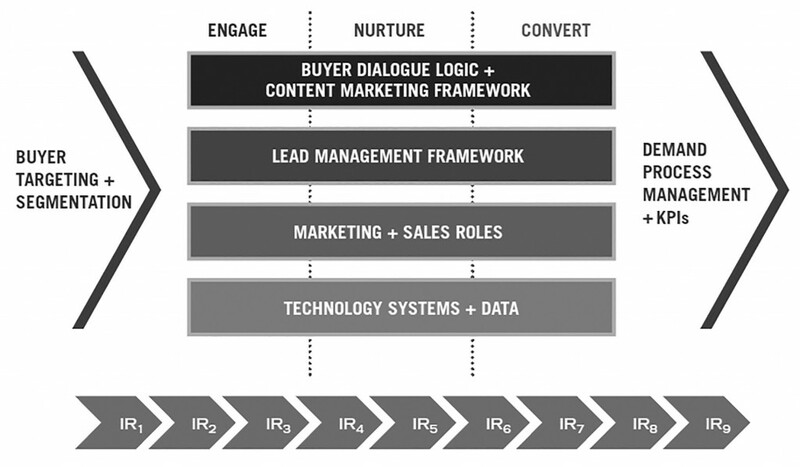 This change starts with culture change among marketing and sales. The change continues with an alignment of People, Process, Content and Technology to that of the buyer and their buying process. It is what we do with our clients and we have seen it be highly effective in not only connecting with our buyers, but in positioning marketing as a growth driver for their companies. I want readers of this book to understand that as B2B marketers, we cannot continue to do the same things over and over and expect different results. We cannot simply create more content, execute more campaigns, invest in more technology. What we have to do is fundamentally change the way we think, operate and execute in order to adapt to our modern sophisticated buyer. It is doing things versus differently versus just doing different things. I tell people that I am experienced B2B marketing and demand generation professional who is extremely lucky to be in this space and work with the best team that I could have ever imagined. I do not use words like expert, guru, thought leader, etc. I reserve those terms to be used by others to describe me, that is if I’ve done my job successfully. I have had a few that have impacted me and they are as follows in no particular order. The first is Execution: The Discipline of Getting Things Done by Larry Bossidy and Ram Charran. I read this before I co-founded ANNUITAS and I did not know it then, but it provided a lot of information and advice that I apply today in my CEO role. The second book is Switch: How to Change When Change is Hard by Chip and Dan Heath. I use a few of their quotes in Driving Demand as I think the concepts are so clear and practical and have helped me formulate my thoughts on change management. I think the biggest challenge has been starting and growing ANNUITAS. Over the last three years we have had significant growth, added numerous people, expanded our services, changed our delivery model and truly gone through our own change management internally. Managing that process, ensuring culturally we stay true to who we are and ensuring we are still delivering the best quality to our clients has been a very big challenge. Beyond thank you for taking the time to discuss Driving Demand, which by the way is available on Amazon. I think the biggest thing is that B2B marketers should be excited about where we are and that we have a chance to truly impact our organizations in many positive ways. 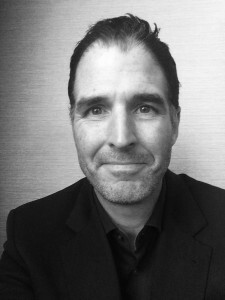 For so long marketers were the subservient group and now with the way things have changed, or place in the organization will be so much more strategic. We need to grasp hold of the opportunity and go for it!